Simplicity, innovation and balance are the key ingredients in chef Angus An’s philosophy behind the authentic Thai dishes served at Maenam. His menu is rooted in balancing intense fresh flavours with seasonal ingredients and locally sourced products, while respecting the tradition and the origin of each recipe. With inspiration found in continuous travel, the menu at Maenam is ever-changing but always served with Thai flare and enjoyed in its traditional context, be it family style dining or riffs on Thai street food. Cellaring one of the most exciting Riesling collections in Vancouver, the wine list at Maenam is a food focused undertaking and concentrates on lighter reds and a spectrum of aromatic whites. The wine, beer and cocktail list evolves as quickly as chef An’s menu, spanning a range of old and new world styles, with a special focus on the best of British Columbia. Maenam can accommodate private parties from 8 to 45 people. Coin parking on West 4th is available (free after 10pm). *are ocean wise: Recommended by the Vancouver Aquarium as an ocean-friendly seafood choice. please advise your server of any allergies and dietary restriction. vegetarian options are noted on menu. please no substitutions. 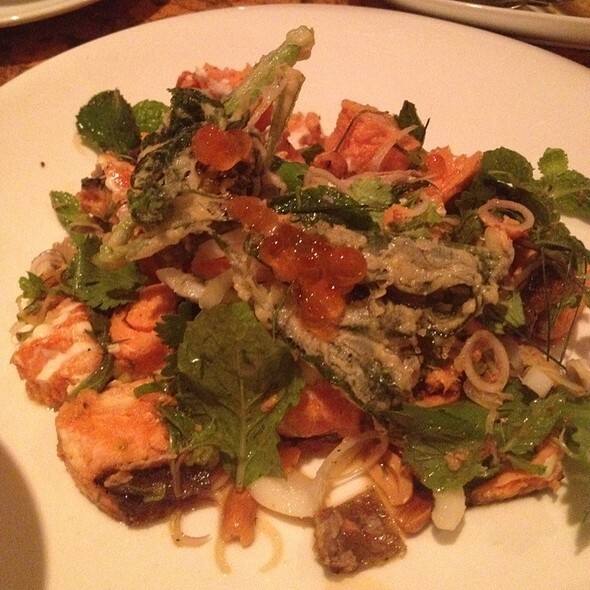 There were three of us and we got the betal leaf miang with local dungeness crab to start. 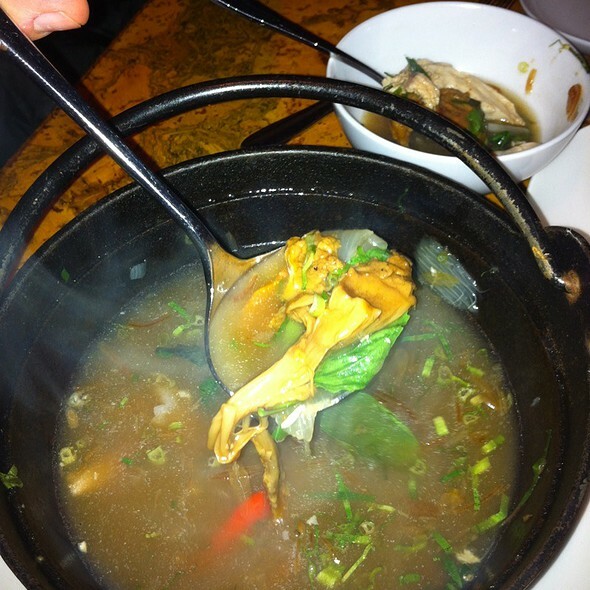 It comes with four leaves and we shared the last one three ways because it was so good! The grilled thai sausage and crispy rice salad isn't really a salad. It's sausage and rice puffs, no greens. Pretty good. Ling cod was really good, buttery tasting and caramelized on the outside. Must get the roti with peanut sauce! Drinks were really nicely made and had a balanced taste. The food we had (chef's tante menu, meat and Fisher) was very tasty, fresh and original. The wine and the crémant with the meal was very well matched, very friendly service. Just a bit noisy at peak hour but later on more quiet and relaxed. This was an exceptional night out dining! Loved this restaurant the food was fresh and beautiful. Staff were friendly and efficient. Fantastic food - highly recommend the place. We found it on a "best of " list for Vancouver restaurants, and were not disappointed. Epic food - nourishing and flavourful. Will definitely be back. The service was excellent. The food was good. I think perhaps I was expecting too much after seeing so many great reviews. The brussel sprout salad was delicious, even for someone who doesn't enjoy brussel sprouts. No air con is unacceptable for this fine establishment. It was so unpleasantly hot this weekend and it's not even summer yet. Dining here is always enjoyable but not while I'm sweating. I'll remember only to go to this restaurant in the winter. There wasn't any good specials this week which was disappointing. Food portions seemed to have shrunk too. 4 of us dined and let the chef prepare a meal as per the menus recommendation,, alth9ugh the food was not bad both of our husbands that sat in the chairs across from us had sore backs by the time dinner was over and just wanted to leave.. so would have upped the compliments had the chairs been more comfortable,, for that reason only all 4 of us agreed we would not return. Food was delicious! I was so full after the meal but it was worth it. Each bite was full of flavour. A bit noisy but not overwhelming. I'll definitely eat at Maenam again. Good service. Food came super fast and was so tasty and delicious!! Hands down, this is the best and most creative Thai restaurant in the city. Been coming here for years and have never been disappointed -- on the contrary. 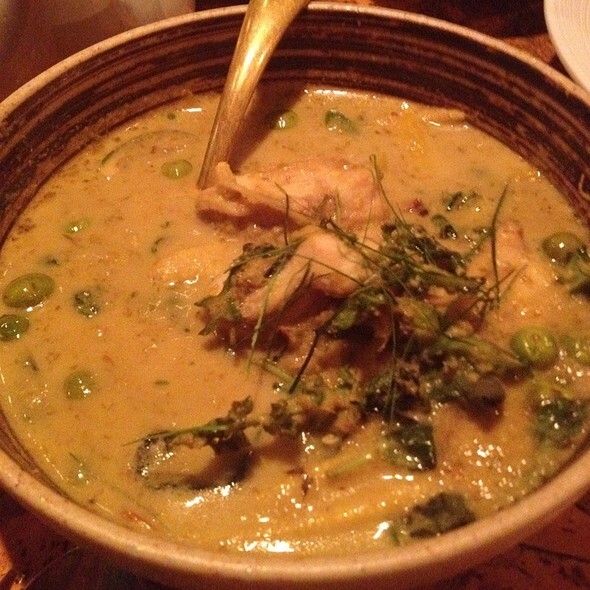 The prix fixe dinner at night is the best (and most delicious) deal in town -- 6 or 7 courses wonderfully spiced. Also, very accomodating to vegetarians. Aside from the veggie dishes -- go for the brussels sprouts and almonds and/or the banana blossom and corn salad -- they are happy to modify dishes. Only caveat -- it can be quite noisy here, especially at night. This is one of my favourite restaurants in Vancouver and we frequent it almost monthly. The most recent time we went we ordered the vegetarian tasting menu and it was fabulous! The flavour profile of the dishes were outstanding. I am very much a fan! The food was phenomenal and so was the service. Their food is exceptional and perfect for those with Celiac disease. Terrible service - was basically ignored. Great shame as food good. Food was outstanding! Suggest to go with a group in order to select a variety of dishes. 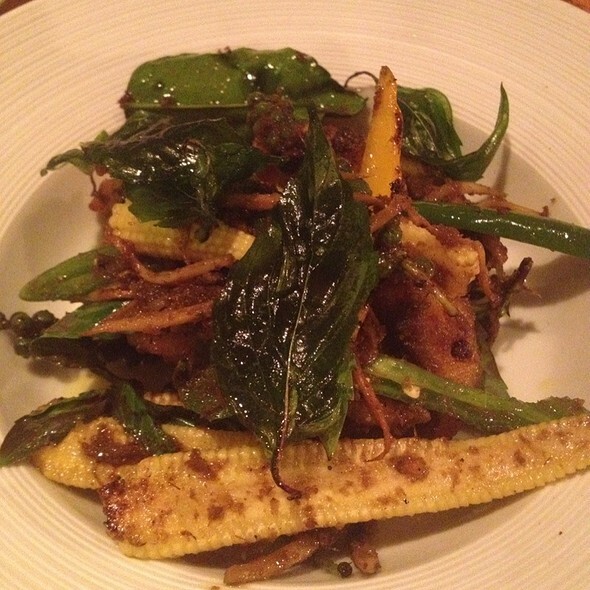 Delicious creative cuisine especially the Banana Blossom Salad and lamb curry. All is outstanding! So many wonderful flavours! We love eating at Maenam. There is something special about each dish and the amount of flavor in it is amazing. 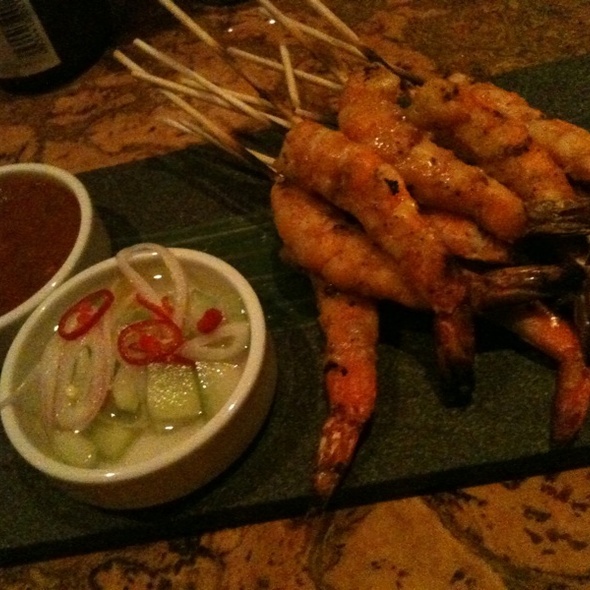 Great service, delicious food - some of the best Thai food I've ever have had. Menu has lots of variety and I love that they have an non-alcoholic beverage selection. I'm visiting from the States and chose this place based on reviews and it be voted #1 restaurant in 2016 in Vancouver magazine! I would definitely recommend Maenam, it did not disappoint! Went for our anniversary. Friendly staff, great service. Food was excellent! Nice Thai food. Good quality of ingredients. Spicy was ok for me, a bit on the too spicy side for my girlfriend. Original dishes. Good service. A bit overpriced. Had the chef's menu which is usually good but the fish was dry and we had lots of it. Not as much variety as usual. Been here several times and it never disappoints. 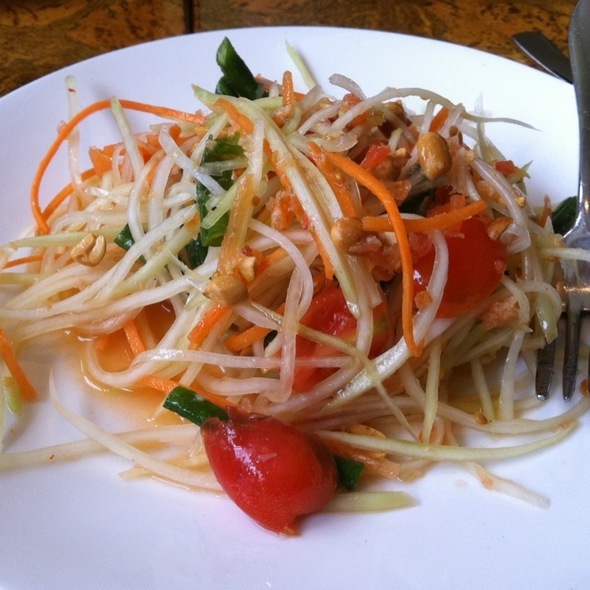 Excellent and fresh flavours like your walking off the plane in Thailand. Always pleasant to go to Maenam. 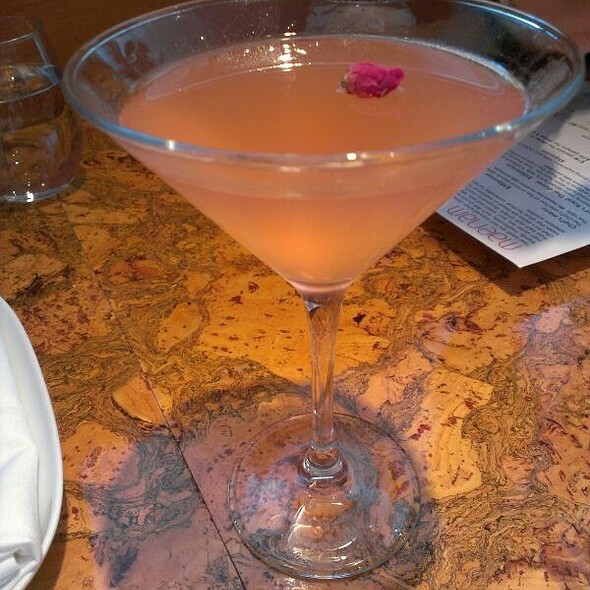 Great cocktails, great food. Fabulous food. We could understand why Maenam won best restaurant in VanMag 2016. We were there on our first wedding anniversary and really enjoyed our meal. Special place. The service was very good and the servers were attentive . The food was very good too. 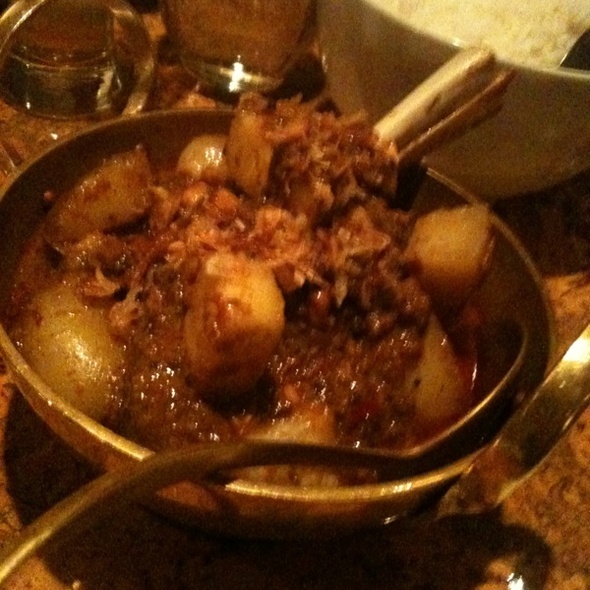 The Only dish that we didn't really enjoy was the lamb curry. It was dry and too sweet. The red snapper was delicious and the chicken wings were to die for. The desserts were amazing too - had the roti dessert and the coconut ice cream. Both were outstanding. Delicious food and great drinks and conversation from bartender JD. This was our best dining experience during our Vancouver getaway and we'll make eating there a priority next time we visit Vancouver. Special thanks to Tess who made sure that we were able to dine at Maenam on a busy evening. Really wonderful food - fantastic flavors, beautifully presented and very affordable. Service was good - our waitress Charlotte was lovely. Well worth the cab ride over to 4th - lived up to its reputation as Vancouver magazine's top choice for 2016. Servers were haughty and somewhat dismissive--perceptible "attitude"--which diminished our enjoyment. Solid menu, and best Thai out there. No wonder they won restaurant of the year! Gold! Thai sausage and crispy rice salad was a disaster. Thai sausage was like cubed sausage (nothing Thai about it). Presentation not appetizing. 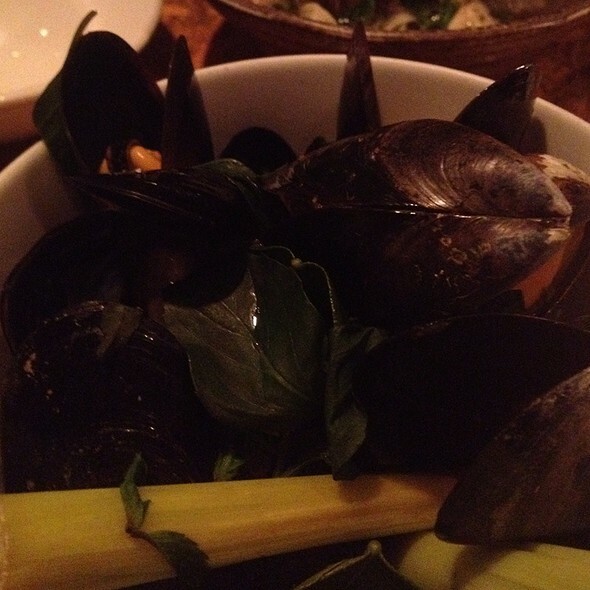 Special of the day was mussels, very little broth with hardly any flavour, just heat. Duck confit salad too sweet-- shredded duck meat with various herbs. Too much use of raw onions on dishes. Saving grace was the lime/fish sauce which we had to use on everything to make it taste like Thai food! Wonderful service, healthy portions and delicious food!! Not to mentioned they whipped up a lychee martini for me that wasn't on the menu, with beet sugar rim and it was incredible! We got the sausage salad appetizer and the coconut chicken soup and pad Thai and we were so happy with our order and extremely full! I love spicy food - I eat the spiciest food out of anyone I know. We received a dish that was so spicy that it was inedible. This is not normal. We told the waitress who told us "We tell all customers that this is our spiciest dish"
We were not told that the dish was spicy. Even if we had been told, the dish was so spicy that it was inedible. Either the recipe has issues or the person making the dish added way too much hot peppers. We only ate 1/10 of the dish and were still charged.